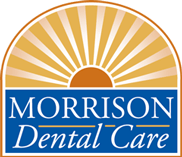 Morrison Dental Care has been serving the community of Clifton Park since 1973 and always provides the best dental services that you and family deserve. Our services include restorative dentistry, cosmetic dentistry and adult orthodontics. We offer solutions for common problems such as gum disease, cracked tooth, crowded teeth, missing tooth and stained teeth. We also offer Invisalign, Six Month Smiles, smile makeover, mini-dental implants and the latest tooth implant technology. We provide personalized care to the residents of the following communities: Clifton Park, Halfmoon, Saratoga Springs, Troy, Waterford and Mechanicville. Our staff member will reach out to you, confirming appointment time and date.